I wanted to let you guys know that a large portion of my booklet is complete and I am now turning my attention to a few key parts that I need to add and make edits to. I am also waiting on a story from one of my brothers. I am pretty excited about getting this project completed! I am going to start looking for an agent and look to see about getting this published the old fashioned way or self publishing. We shall see. Hey y’all, I just wanted to note that I have added a new page called Save Gold. 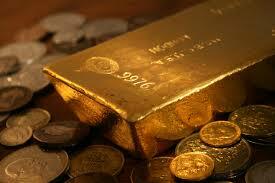 I am in business to buy and sell gold. If you are interested check it out, there is a short description and a video. I have finally gotten around to updating my T-Shirts with the IronWil logo you can hit the shop here or in the sidebar. 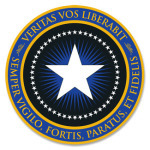 A few months back, I picked up this lapel pin from a website called Patriot Post. It really resonated with me and it is totally different from what many others are wearing. Admittedly, I don’t wear a suit very often, mostly on Sundays for church. There are a few reasons why this stood out to me. First of all wearing an American flag doesn’t say much. You may be wearing it because you are a patriot or you maybe wearing it to try and convince others that you are a patriot. I have noticed in the last 2 or 3 years that many politicians I see in the news are wearing American flag lapel pins. I am not a fan of putting on airs. I am not big on advertising for another organization or business. I really have to be sold on something and truly believe in a product, company, or service to share or offer it for others. I had been looking for a lapel pin that is unique and looks good. One that speaks to my personality and character. One that is truly different. I found just such a pin. This is what is looks like and here is the explanation and translation of the Latin. 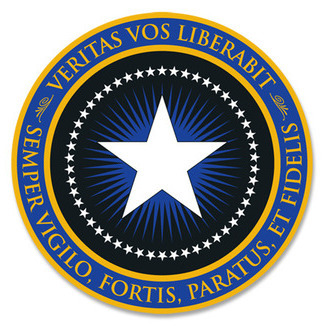 Now, I have been asked about this pin several times, once I was asked if it was a modified Captain America shield. I have given out a few of them. In fact, I will be ordering more to keep in my suit pocket to pass out. This pin has also provided me with opportunities to teach others about these values that I hold dear. These values that are important to me and need to be taught, reinforced, and reengaged in our American culture and society. Values that have caused America and Americans to stand out world wide. Values that have stood for time.